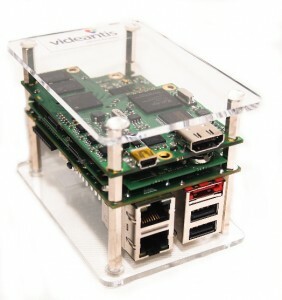 The videantis v-MP6000UDX architecture is supported by off-the-shelf embedded vision libraries such as OpenCV or OpenVX, and a wide variety of video coding standards. In addition, the processor can be efficiently programmed to support proprietary applications using the videantis suite of development tools. 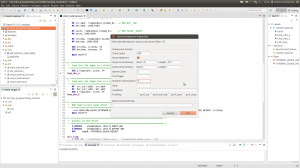 The widely used Eclipse-based integrated development environment provides the software developer with a single, unified, graphical view of the program under development. It includes project management, code editing, and integrates the other videantis development tools. The v-CNNDesigner tool automatically translates trained neural networks into optimized implementations that run efficiently on the v-MP6000UDX architecture. The LLVM-based optimizing C compiler with intrinsics supports efficient software development using the industry-standard C programming language enhanced with vector data types based on the OpenCL C kernel language specification for easy programming with SIMD parallelization. Performs efficient parallel code scheduling, VLIW packing, register/data allocation, and zero overhead looping. 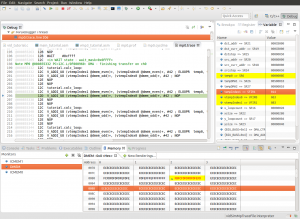 The very high-speed and cycle accurate multi-core simulator provides greater visibility when running the code than a hardware platform, while remaining compatible with hardware implementations. The profiler can be used to examine program behaviour such as identifying hot spots and profiling local and external memory accesses. 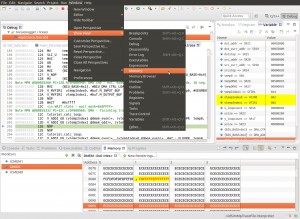 The powerful multi-core debugger provides capabilities such as flexible breakpoint setting, stepping through code, and trace capabilities. During software development, switching of target platforms is seamless. Available target platforms: high-speed simulator, FPGA, the videantis development system, or customer silicon. Read more about our development and prototyping platforms.